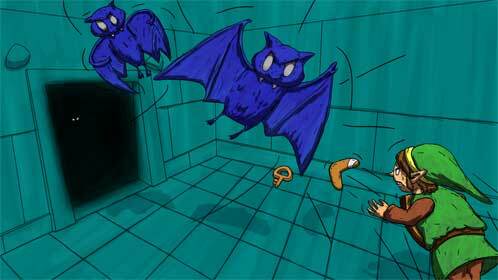 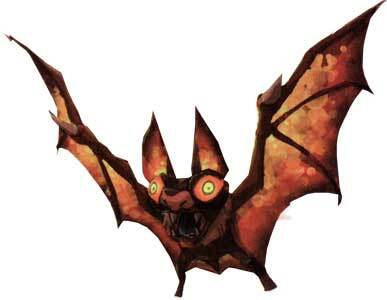 The Keese is a Bat-like enemy type in the Legend of Zelda series that appeared in every game of the series from The Legend of Zelda (1986) to The Legend of Zelda: Tri Force Heroes (2015) with the only exception being Zelda II (1987). 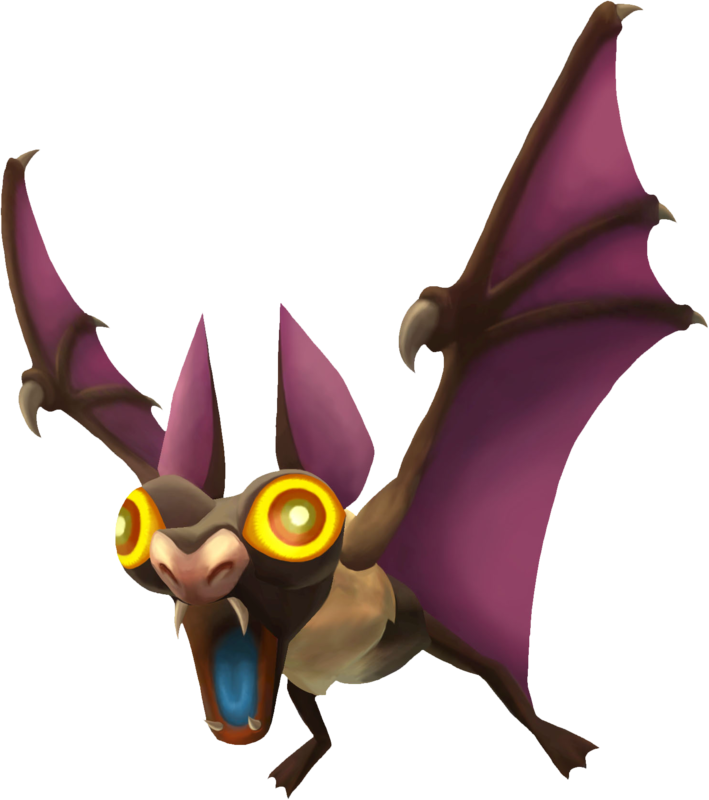 The Keese appeared also in a couple of other Nintendo games like Nintendo Land (2012), Super Mario Kart 8 (2014) and the Zelda DLC for Sonic: Lost World (2013). 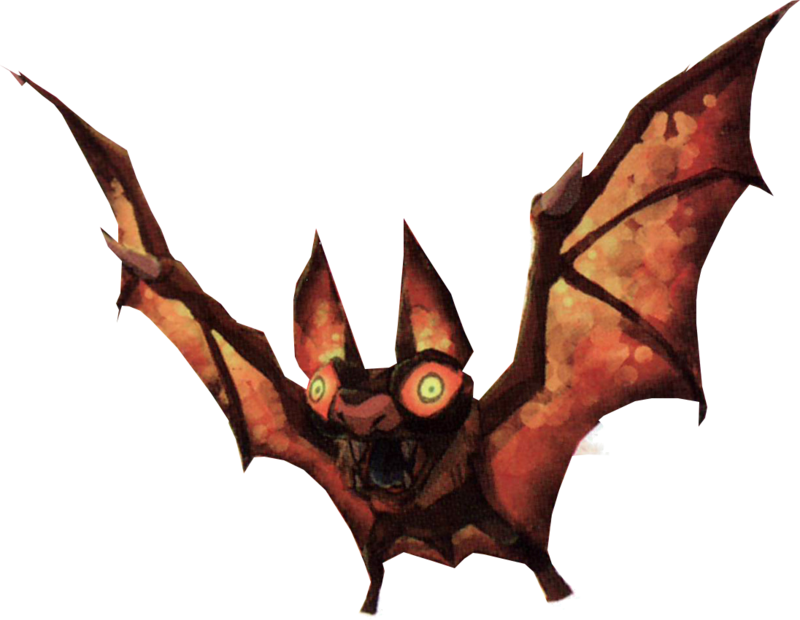 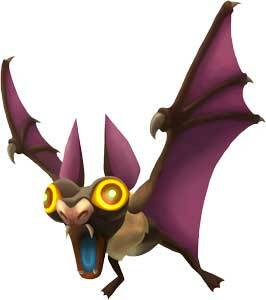 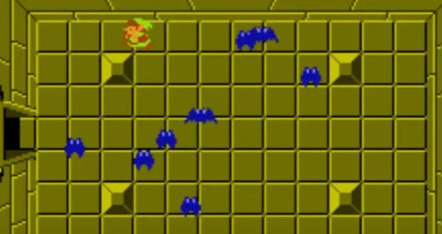 They are pretty small creatures that look very similar to the real world Bats in some of the games while their design was changed sometimes to look more like a creature from Hyrule. 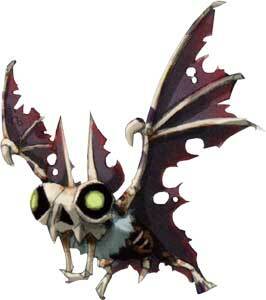 There are also elemental specific versions of the Keese in some of the games. 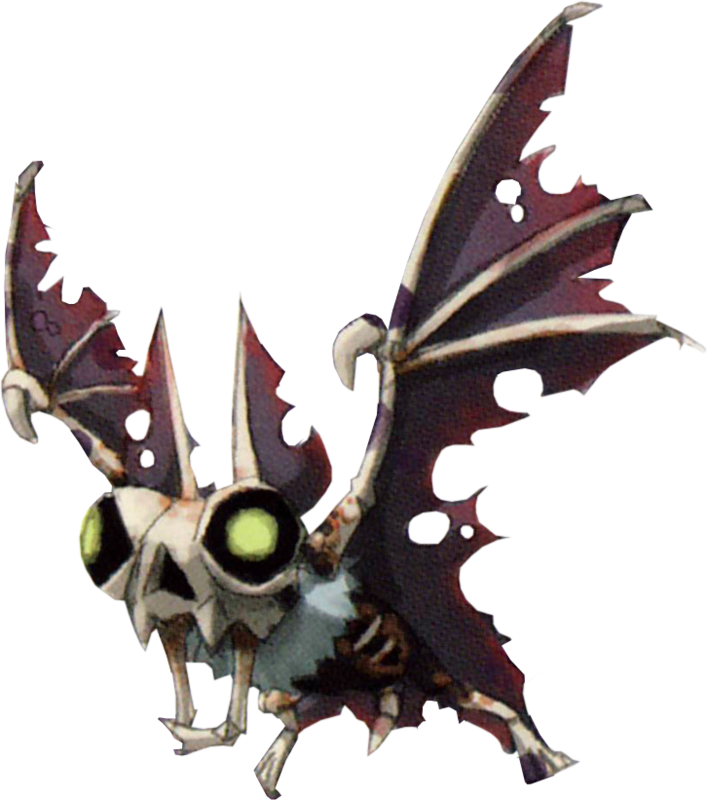 While the Keese Bats appear in almost all Legend of Zelda games, only the classic Keese from LoZ made it into our Link’s Blacklist Bestiary so far.